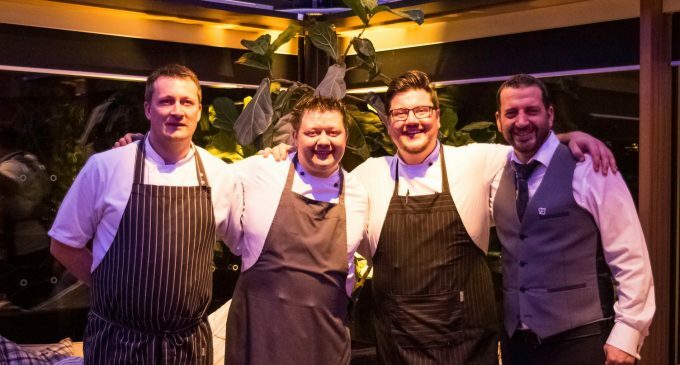 Citylicious, the 300-member platform for the country’s best hotels, restaurants, bars, producers and suppliers, celebrated its first birthday this week with a party at the Gateway Restaurant in Edinburgh’s Royal Botanic Gardens. Hosted by Sodexo Prestige, the event showcased food produced by the students of Fife College, Taste of Arran and chefs including the Gateway’s Ben Harrison, Edinburgh’s Mark Greenaway and MasterChef Pro champion, Jamie Scott. Iain Fenwick, Managing Director of Citylicious said: ‘Tonight is an example of a community that is unique to the food and drink industry. With food and drink blogs and sections for recipes and videos, Citylicious provides a unique opportunity for operators to showcase their products and services to consumers, visitors and tourists to Scotland.